Passionate about the game, newly appointed Nelson Mandela Bay Stars chief executive Sean Morris will be aiming to add his own brand of expertise as the franchise strive to make an impact on the inaugural T20 Global League. Initiated this year in South Africa as an answer to the Indian Premier League and Australia’s Big Bash, the T20 Global League is poised to change the face of the game in the country. With high quality international representation and leading South African players among the eight franchises, cricket authorities are confident the new competition will capture the fans’ imagination. And Morris, with a rich cricketing background, will be doing his utmost to ensure Nelson Mandela Bay fans are provided with an experience that will transform them into permanent members of the greater Eastern Cape franchise family. Born in England, the 49-year-old Morris played professionally for Hampshire in domestic cricket, scoring 101 not out when the county played Kepler Wessels’ touring South Africans in 1994. After his retirement from the game in 1997, he became involved in sports marketing, working for the Dunlop-Slazenger cricket brand. He later became chief executive of the Professional Cricket Association in England, followed by a two-year stint as CEO of the Rajasthan Royals in the IPL. 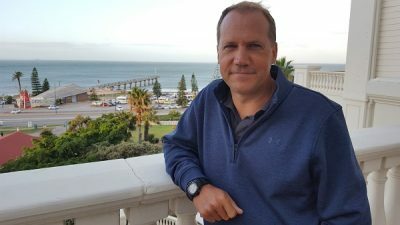 Although he has only visited Port Elizabeth once previously, Morris has a strong connection with South Africa, having played league cricket in Cape Town for five years in the nineties, soon after the country was invited back into the international fold. He is now looking forward to ensuring the Nelson Mandela Bay Stars are placed firmly on the map, with a growing excitement about working alongside legends such as ex-Proteas wicketkeeper-batsman Mark Boucher and Zimbabwe fast bowler Heath Streak. “The thing that particularly attracted me was the appointment as coach of Mark Boucher, whom I know through a number of very close friends,” said Morris. “Working with Mark will be very interesting for me, while Heath Streak is a former teammate of mine and we worked together only 18 months ago. Morris said his vision for the franchise was that it was all built around the fan. He added that the T20 Global League franchise was a huge opportunity for the Nelson Mandela Bay region to promote itself to a massive world audience. “There is fantastic potential here,” said Morris, who jetted into the city over the weekend. “I guess it’s just about the level of confidence. There is a feeling here that we could do something amazing, but are we going to do it? “It’s more than just rocking up for seven games of cricket,” he said. “If we get this right, we can get into a position where we can help youngsters, help EP cricket and get the community behind the team.